Fall is here. It’s a spectacular time of the year to get married. Fresh and crisp air, golden hues and all these natural elements like pinecones, fruits, vegetables, berries and nuts will make your wedding party awesome and unforgettable. Don’t be afraid of cold or rainy weather and make a big outdoor party. You can celebrate your wedding at a vineyard, in a small village or even in the woods. Take a look at the list below for more ideas and inspiration.Fall is here. 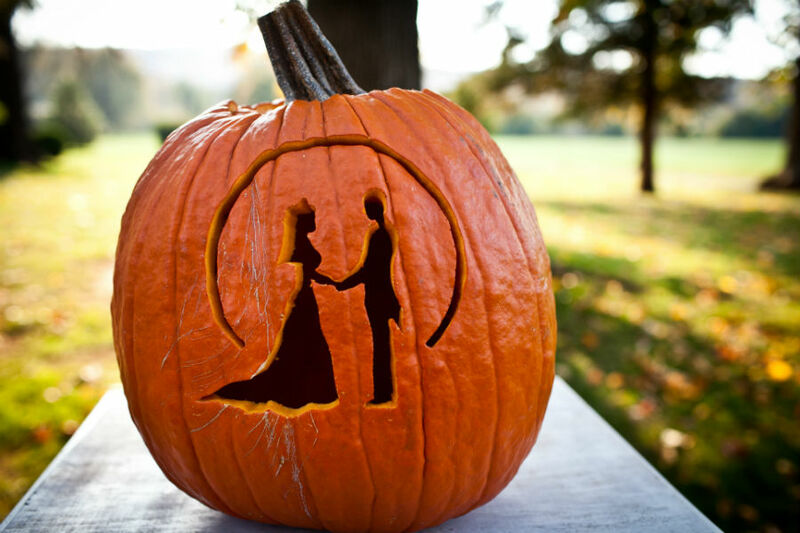 It’s a spectacular time of the year to get married. Fresh and crisp air, golden hues and all these natural elements like pinecones, fruits, vegetables, berries and nuts will make your wedding party awesome and unforgettable. Don’t be afraid of cold or rainy weather and make a big outdoor party. You can celebrate your wedding at a vineyard, in a small village or even in the woods. Take a look at the list below for more ideas and inspiration. 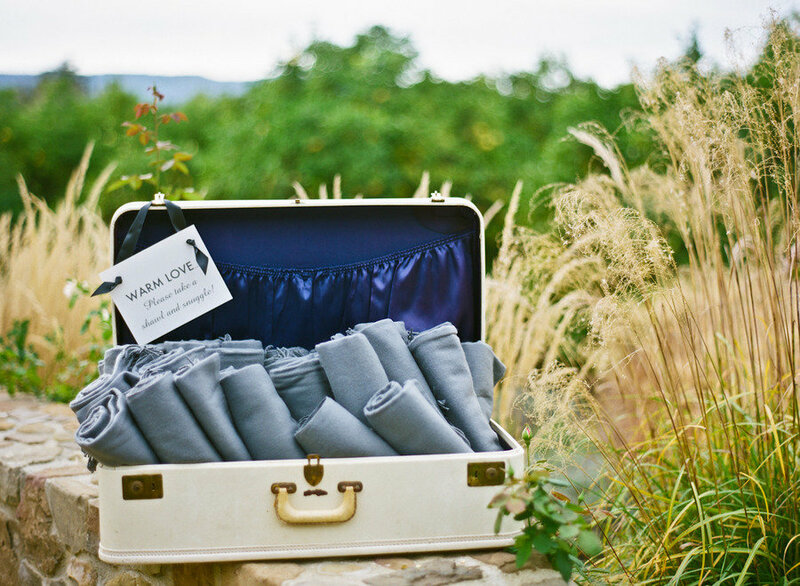 Fall isn’t the warmest season, make sure your guests won’t be cold and prepare warm blankets for them. Remember that it may be raining outside. 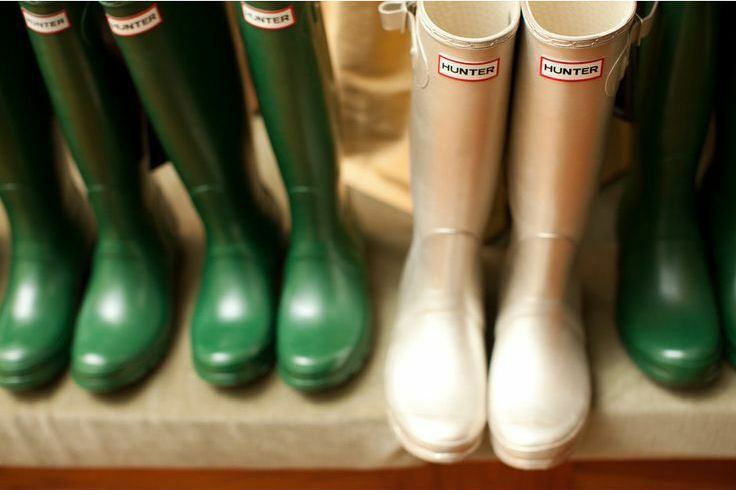 Take care of the raincoats, boots and umbrellas beforehand. Using colors and shapes inspired by autumn for decoration is the first thing you should think about. 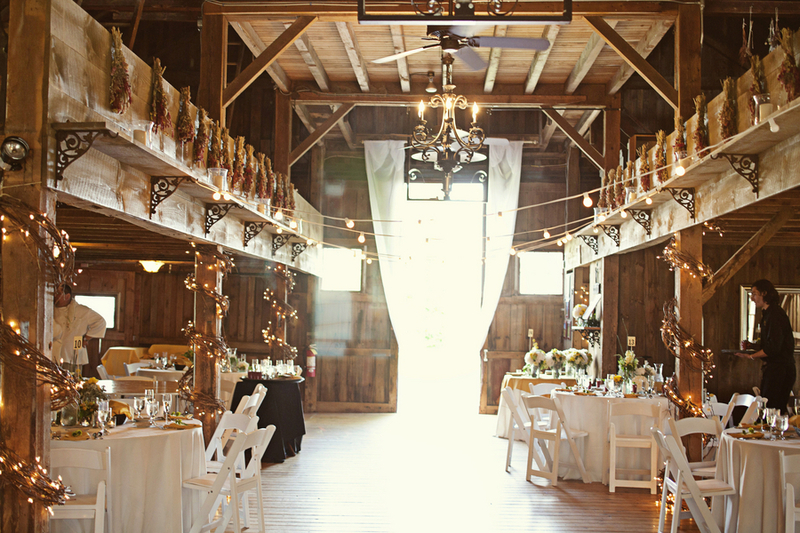 Don’t be afraid to make your wedding party in a barn. 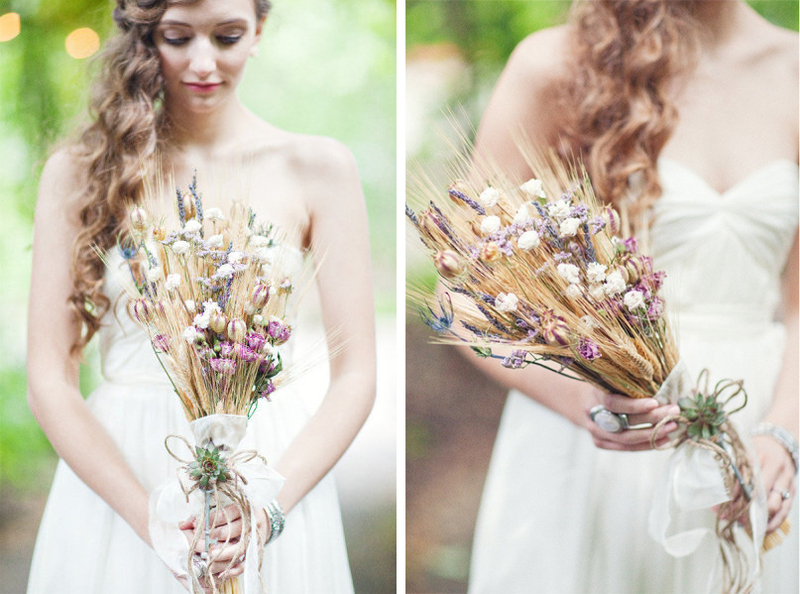 Especially since rustic barn weddings are very trendy now! Natural elements like pinecones, vegetables, foliage, garlands of lamps, and flowers will turn the old barn into a stunning and fancy place for your perfect wedding. 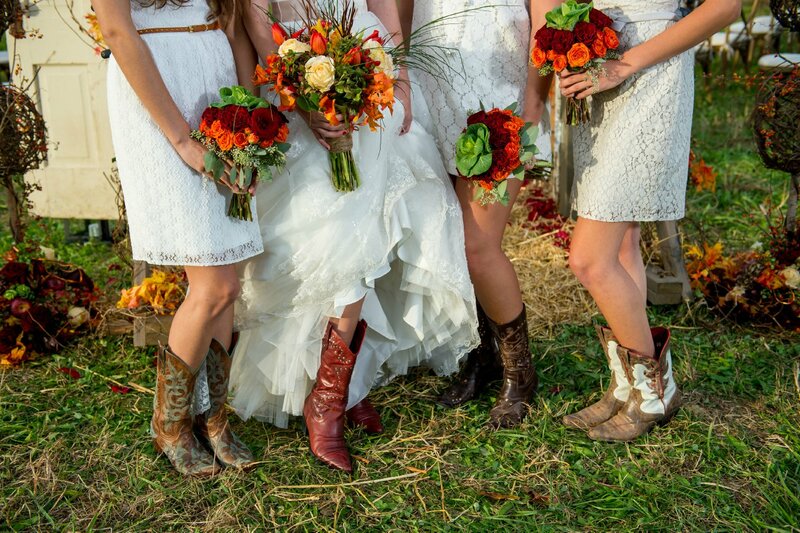 No other shoes besides cowboy boots can be more suitable for the fall wedding. Adding pepperberries, wheat ears, Chinese lanterns, small and colorful fruits or vegetables will make your wedding bouquet more unique and beautiful. 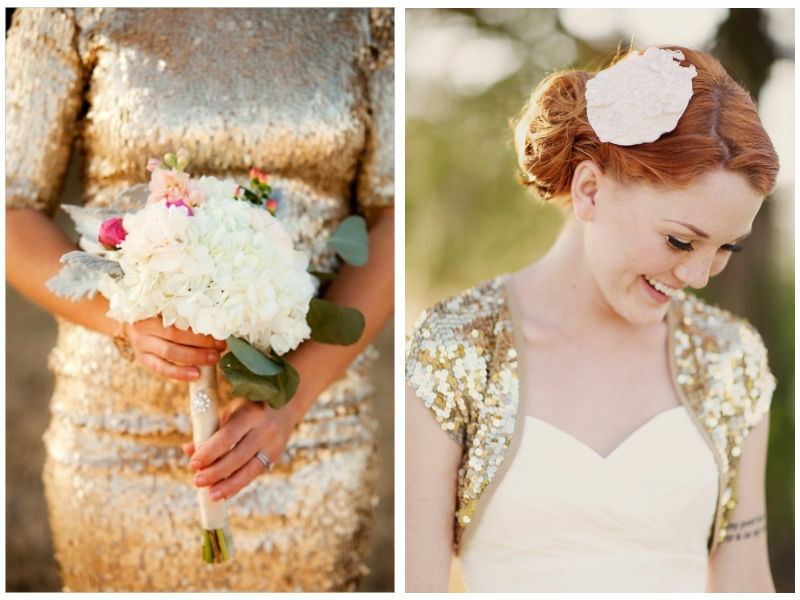 Your bridemaids will look elegant and gorgeous wearing dresses spangled with sparkly sequins and Swarovski crystals.Glitter and sparkle will add some extra warmth to the cloudy weather. 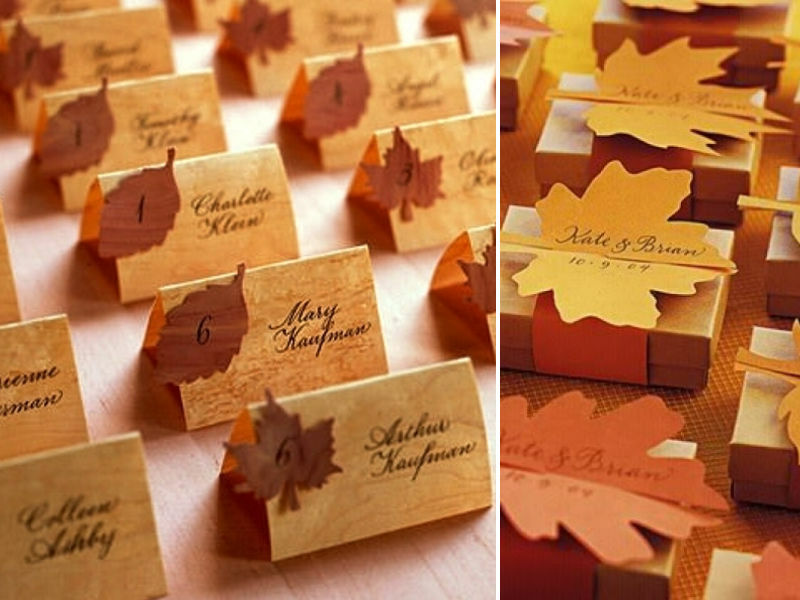 Nothing makes a fall wedding even more autumnal than pumpkins. 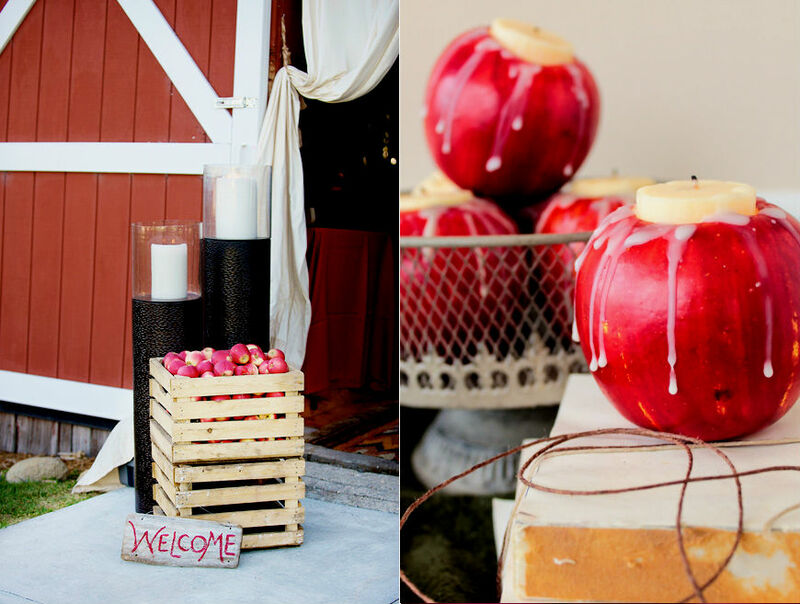 If you want to add a bit of contrast to your party, use red apples! They will make your wedding brighter and more diverse. 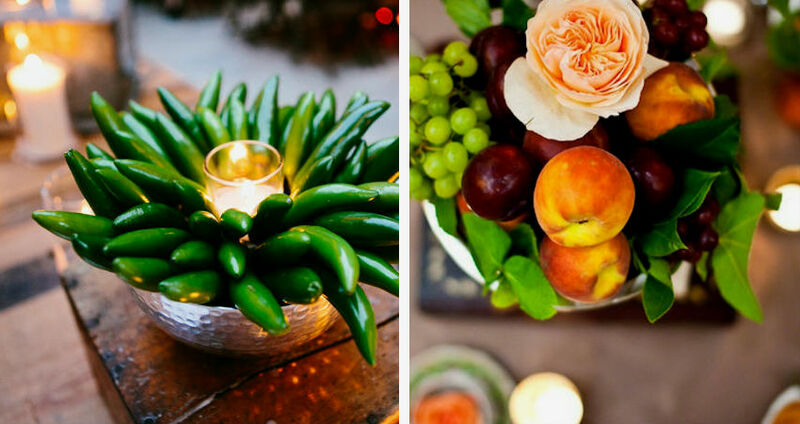 When it comes to fall you can be more creative and use exclusive fruit or vegetable centerpieces instead of floral arrangements. 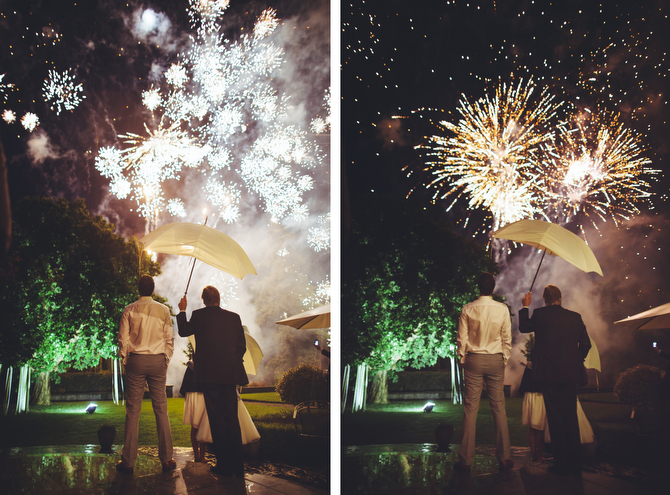 One may think having the fireworks at a wedding party is a bad taste idea. But tastes differ, why not to surprise your guests with this amazing party ending?